“The Thoughts We Nourish, Flourish. The Seeds in Our Mind We Feed Bloom." Join in, become the Conscious Architect of Your Future. ...Depending on How Much Energy You Give them. The BEST seeds are the ones that bloom with ‘LOVE’. The ones you feed with the highest vibrational thoughts and feelings. 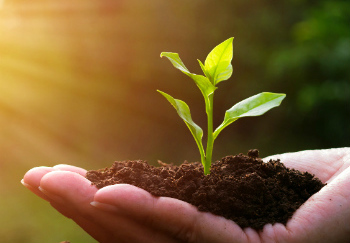 The WORST seeds that grow are the parasitic ones, strangling, suffocating, sucking the energy and life from the good thoughts. The thoughts we give energy to grow. What thoughts are you giving power? #1 Deliberately banishing the old pattens of thought that don’t support you… consciously controlling your thoughts and neutralising negativity from the past. #2 Feeling GOOD right now, feels good… it keeps you in a positive vibration. Happy and positive about life right now… and your plans for the future. #3 Creating positive visions of your Future… details and big pictures of what you want more of… you doing more wonderful things that you enjoy. Planing positive pictures of your Future. Consciously Thinking. Thinking on Purpose about Your Successes. Erasing the blocks and limiting thoughts from your past and banishing the negativity from the future. Giving you more space to have the wonderful, happy thoughts about your plans for where you are going. Boosting your feelings of gratitude and allowing you to view the world in a better way. Giving you space to shine your future brighter… boosting your good thoughts and good feelings for your future fantastic. Consciously Creating the Future You Want. Engaging in success strategies, powerful processes and simple actionable methodologies… alongside meditations, visualisations and relaxing eyes closed processes. "I am genuinely passionate about helping you." SoBeing at it’s CORE is about helping you have a Better Life. Living more abundantly, passionately and happily. Living a life more aligned with who you really are. This is YOU becoming the conscious architect of your thoughts. Allowing you to shape your own future in line with your desires and getting more of what you want from life. A collection of Mind-Set Tools using the latest psychological principles, wisdom almost as old mankind itself… Hypnosis, Meditation and the origins of Neuro-Linguistic Programming (NLP). "After all these years I’ve found the perfect way to create a transformational experience and keep it at a price anyone can afford"
Your unconscious mind is a power house of possibility. It truly is a force to be reckoned with! With the right mindset, consciously creating a future you are drawn towards becomes effortless. It's Your Future... What Do You Want? 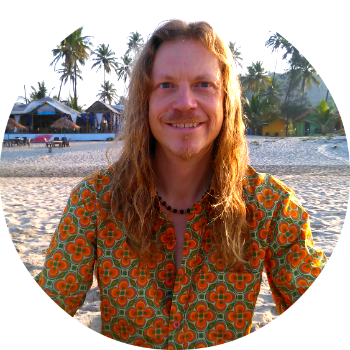 "There is always room for more Happiness and less stress in life"
Based between the UK and India, John is a Hypnotherapist, Life Coach, NLP Trainer & Consciousness Explorer with a 25 year record of creating life changing positive breakthroughs for people. There is so much information out there, it can be overwhelming. So when I came up with the idea for the SoBeing Circle, I KNEW it had to be different. And not just a little different. A lot different! The SoBeing Circle is Completely ABNORMAL! Becoming the Conscious Architect of Your Future Self! No matter where you are on your journey "there is always room for more happiness and less stress in life”. In these monthly sessions you'll go deeper on the principles of the 3 SoBeing Steps, exploring and deepening the results you achieve. Getting more of what you want and need in your life right now whilst making a clear plan for your future. Including techniques and brand new ‘done-for-you’ guided visualisations for: Letting Go, Maximising Your Gratitude and Consciously Creating the Future you desire. Creating mental clarity and stillness, bringing your mind, body and spirit into balance. Maximising the breakthroughs and benefits you experience with each session building upon the last. Going deep into your subconscious, cutting through the 'mental chatter’, letting go of limiting beliefs, revealing hidden talents, new ideas and increasing abilities that you didn't have access to before. Effortlessly Reprogramming Your Mind for More Health, Wealth and Happiness. Each of these SoBeing Meditations are a variation of the SoBeing process… a new meditation each month from wherever I am in the world. Different releasing & letting go techniques... different ways of boosting your gratitude and enjoyment of the now... and new ways of future planning, keeping you on track. All in a short 10-15 minute mediative burst thats easy to fit into your day. Imagine giving yourself 10-15 minutes every week (or even every day), time to focus on you, time to relax and give your unconscious mind the benefit of repetition. Releasing & letting go of your blocks, boosting your gratitude & enjoyment in the now and consciously creating the future you desire. And that's all in just Session One... each month builds upon the last and so you grow. Are you moving forward and getting more of the life you want? Helping people is something I'm so grateful to be able to do... and that’s why I want to go above and beyond to help you achieve the life you deserve. I believe the SoBeing Circle is the next best thing to having a personal Life Coach. This is NOT just Informations…. this is about Implementation. And I GUARANTEE that with these simple processes You Will Get Results! "I was struck by the level of expertise and in-depth knowledge of NLP that John has as he effortlessly carries out interventions and is a master of the use of language and the NLP toolbox to effect change." The Renegade Pharmacist Niraj Naik. “I have been very busy and productive.. I am now further now in my business within a pace of 2 days than it was in a week all thanks to your strategy and motivational works. I will continue to follow all your techniques as they are so beneficial." "John I really feel that with the process you have designed here you have come up with such an effective syntax, for re wiring the brain and creating a shift in thought, state, and ultimately in the behaviour that results from that shift. Your approach meets the fundamental criteria of alchemy." You'll get instant access to a collection of 6 of the very best SoBeing Beach Meditations that we recorded on the Beach in Goa for an exclusive Facebook Group. Each one is based on the 3 SoBeing Steps, each with a slightly different twist, a different angle and sometimes a Goan guest dog for companionship! All in a short 10-15 minute mediative bursts that are easy to fit into your day. And BONUS #3 is HUGE!! The Inner Circle is for people who want to take action. This is about Accelerating You Towards Your Dreams with measurable results immediately and along the way. Discover the secrets to running your own brain in the InnerCircle MasterClass. All the risk is on me. Test Drive this for a FULL 60 days 100% Risk FREE. All Reality Begins in the Mind! And you can become the Conscious Architect of your future with the secrets, tools, techniques and powerful processes I will be sharing with you on this journey. PLUS, as a blatant bribe to get you to test out how good the SoBeing Circle is... I'm giving you a HUGE amount of Bonus content when you register today... we're talking over $640.00 Worth of Content FREE Today! Then I know you are going to LOVE this MasterClass. Reality Starts in the Mind! 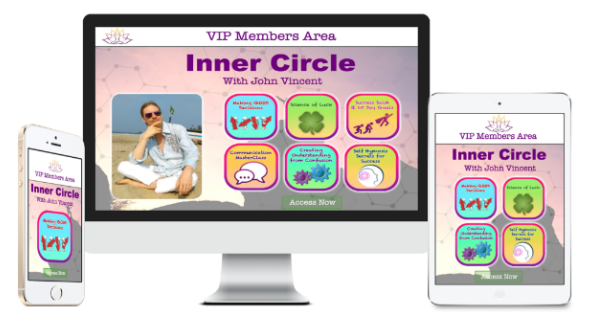 Become the Conscious Architect of Your Future with the secrets, tools, techniques and powerful processes shared in the SoBeing Circle. Give it a go today... you literally have NOTHING to lose. And a HUGE amount to GAIN.